A companion guide to the department of Humanities & Social Sciences capstone research course. 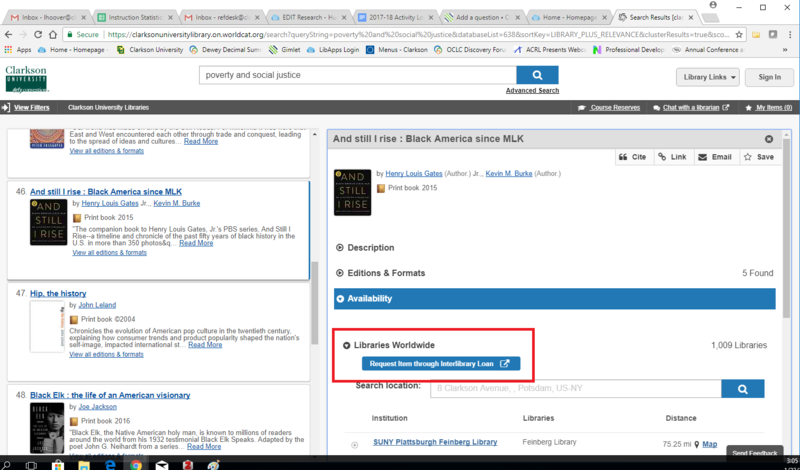 You can find many resources, including articles and books, through our homepage search box. However, this box does not search all of our databases, so you may also want to consult the individual databases listed below. For a list of the databases searched from the homepage, see our "What am I searching?" page. Don't forget to search the homepage to see our book collection! You can limit the search to just books using the "books" tab on the homepage. You can explore our e-book collections through our e-books page.